After spending the weeked in Singapore at the Grand Prix, it was time for Zoe (my daughter) and I to head back to Sydney. 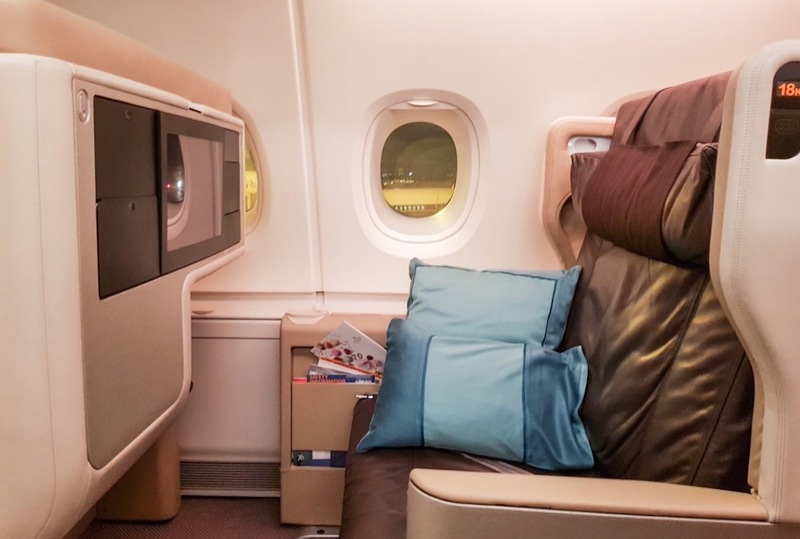 We were originally booked on a 12.45am departure from Singapore on their A380 in Business Class, but I was keeping an eye on KrisFlyer award availability to see if a day flight came up which would be an easier flight with her in tow. Sure enough, the day before our flight some availability came up on SQ211, on a 777-300 with their old medium-haul configuration. 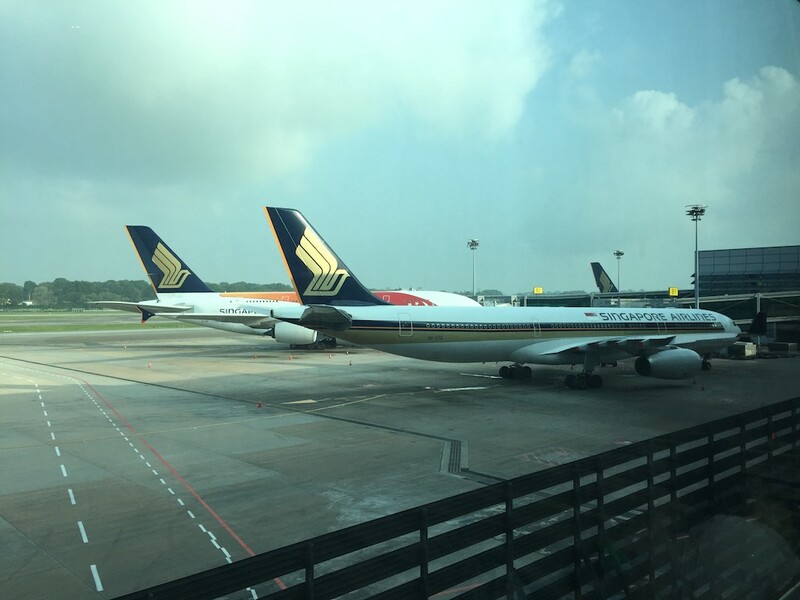 I grabbed the change – and the best part is that Singapore Airline don’t charge any change fees on awards for a simple date change, which is a great customer-friendly policy. 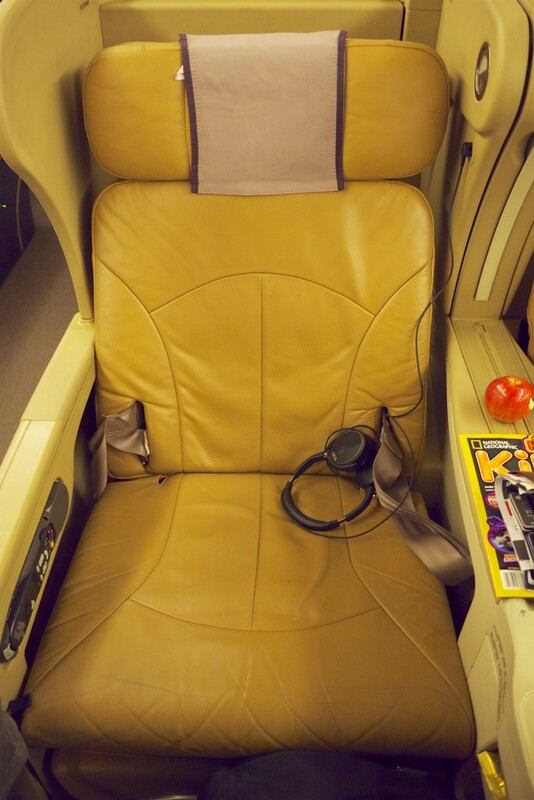 I knew that I was moving us onto a far worse ‘product’ in terms of seat and aircraft, but I didn’t care. Flying during daylight hours without a 1am departure was worth it’s weight in gold, and for only 8 hours of flight time, their old angled-flat seat would do just fine. Once again, I used 46,750 KrisFlyer miles per person for the original booking, just like for our trip up to Singapore the day before. The change over the phone to the different flight didn’t change the cost in miles, although if you had different goals to me on this trip, paying the same price for significantly less space and a poorer seat would smart a little. But I was comfortable with the decision. The points were originally transferred over from American Express Membership Rewards earned mostly from strategic credit card spend. 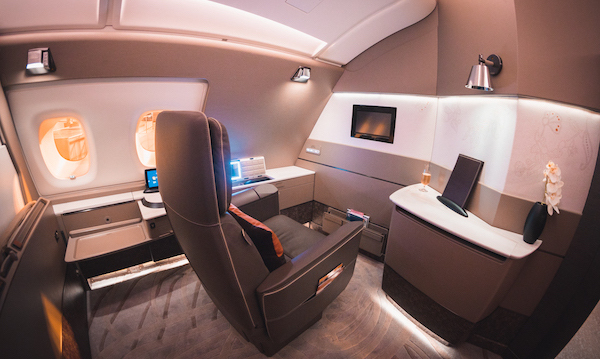 Note: KrisFlyer announced changes coming into effect from 24 January 2019, which include an across-the-board increase in the number of miles required for premium cabin redemptions. 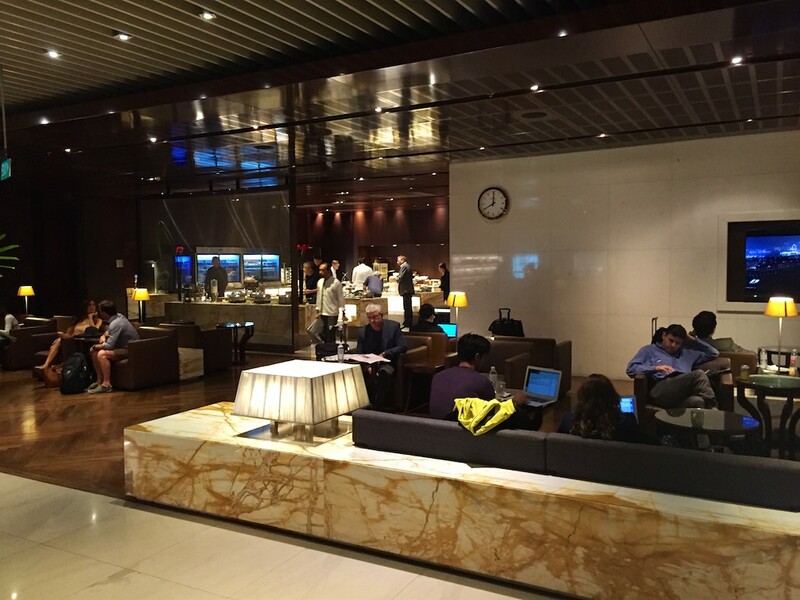 First we checked out the Singapore Airlines Business Class lounge. It was nice enough (if you’re an adult) but there wasn’t much food left, the place seemed pretty busy. 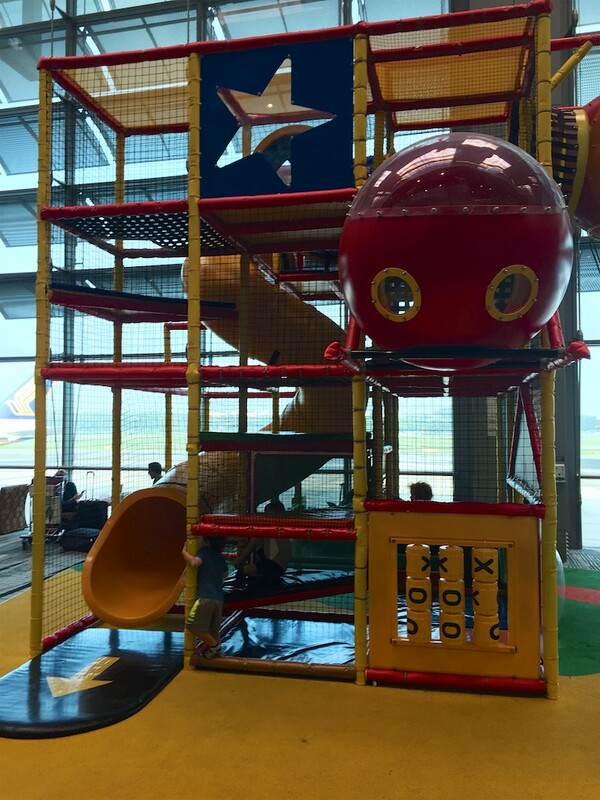 It looked super-boring (for a 4 year old), so we spent more time at the much more awesome playground in the terminal burning off some energy. After a while it was time to head off to our flight, so we headed off to the gate, clocking some A380 and 777 eye candy on the way past. Once past security at the gate, we tried to fix up our split seating caused by our late booking, which required 3 attempts by an increasingly frustrated agent playing musical chairs to convince other passengers to allow us to sit together. 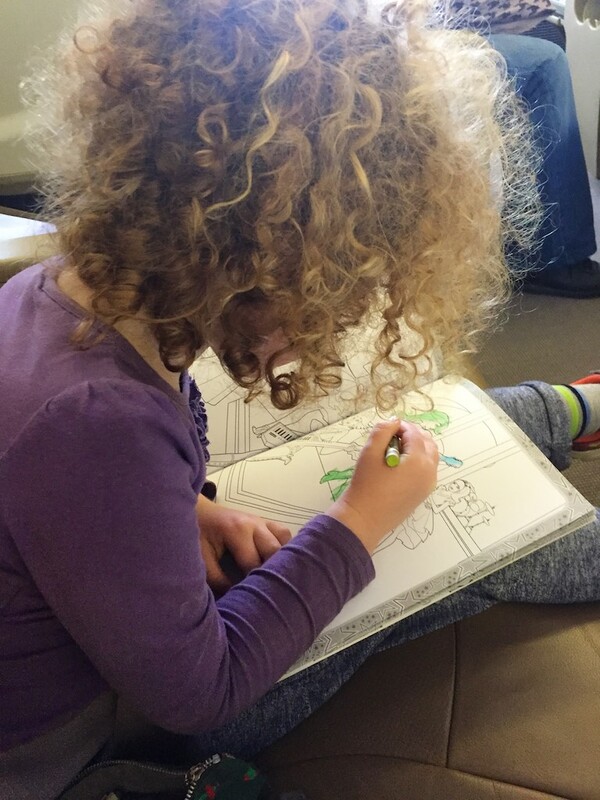 I would have been perfectly happy to spend the whole flight sipping on champagne and not managing colouring-in and toys and endless food. Clearly a few other passengers felt like doing me a favour and playing with Zoe for me while I watched movies. It was getting a bit ridiculous but after a change of mind twice from one particular passenger, Zoe and I were issued boarding passes toward the back of our 777-300 to Sydney. 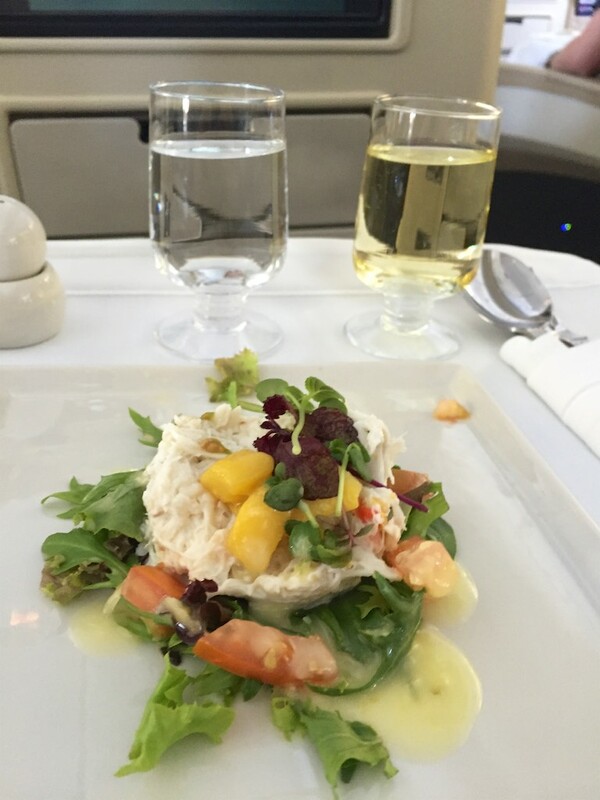 I was very grateful to the agent’s attempts to sort this, it wasn’t easy on a relatively full flight. 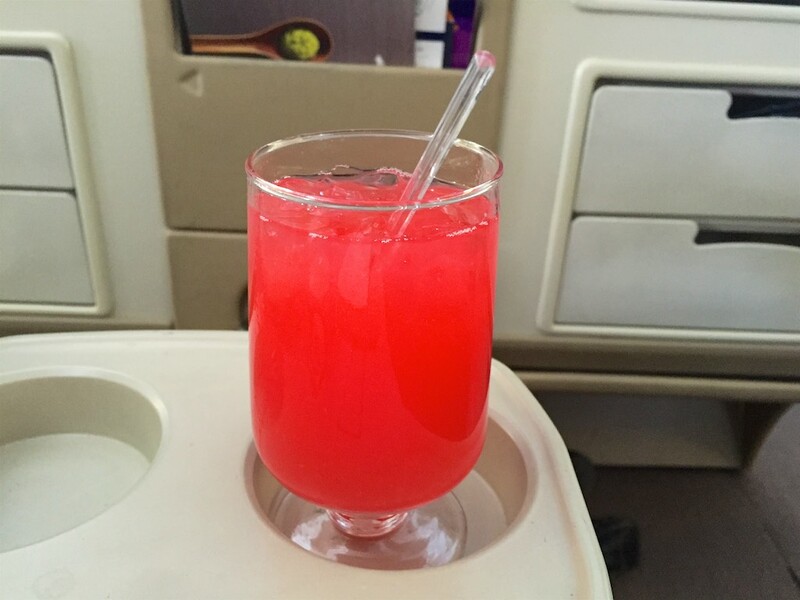 After take off I tucked into my one alcoholic drink of the flight, a Singapore Sling, and shortly after we were served a morning snack of Satay. The seat was as I’d expected – angled flat, but with plenty of room and comfort for a medium length day flight like this one. 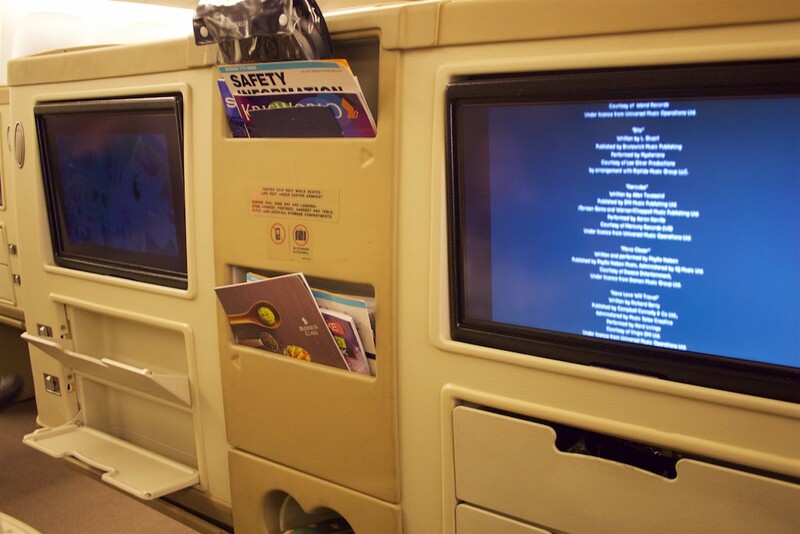 The inflight entertainment was a little past it’s prime but worked well enough, with no hiccups throughout the flight, and slightly more limited selection than the A380 flight up to Singapore. 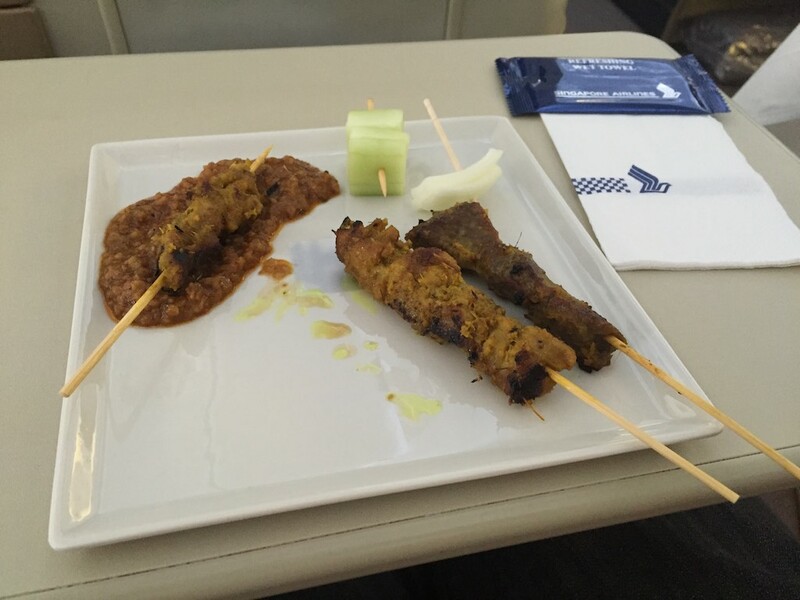 The food wasn’t as good as our previous flight though – the quality of ingredients and presentation was lacking somewhat. It was a little bit of a disappointment. 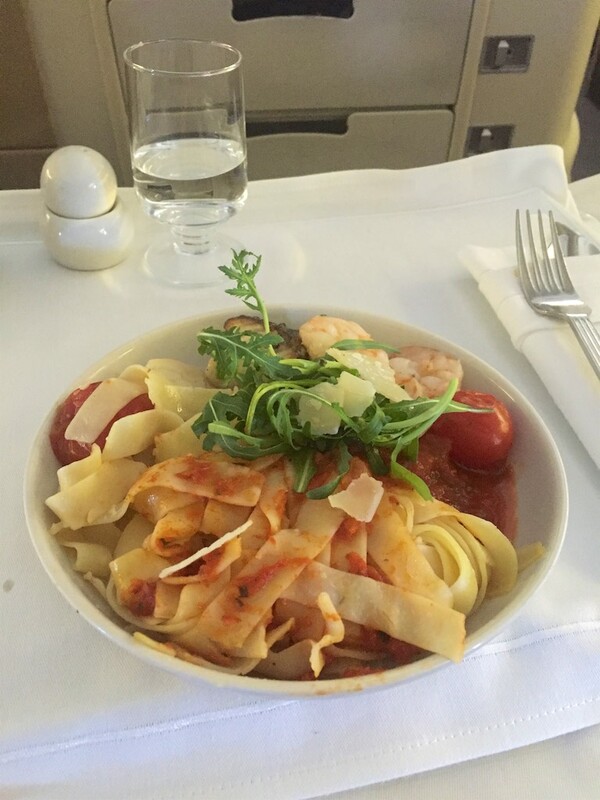 The cabin crew really made up for any shortcomings here though, by being really proactive with pretty much everything from ideas for things for Zoe to mess around with, drink refills and snacks. Top marks. All up, I wouldn’t aim for this flight as a solo traveller. 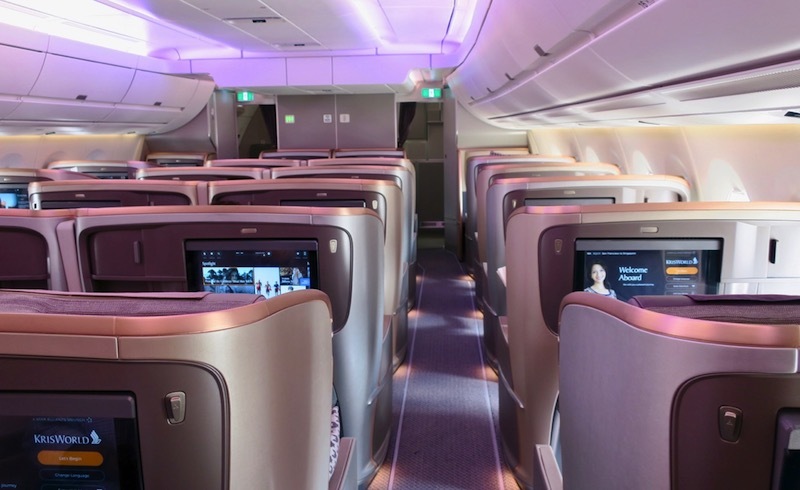 There’s nothing particularly premium about it, feeling like a shuttle full of passengers from one city to another in both Economy and Business Class. 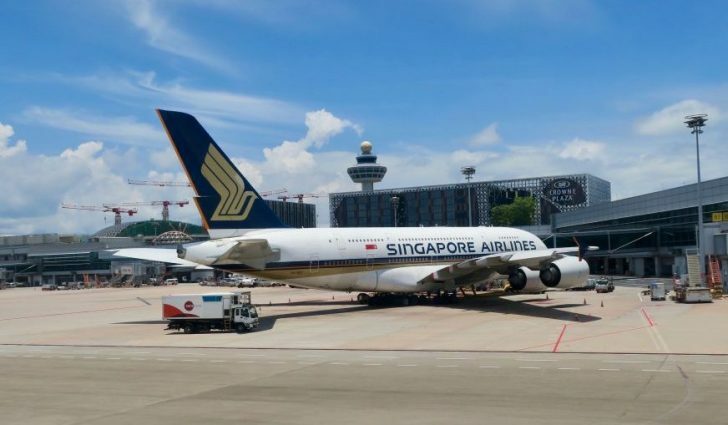 If you’re looking for an experience, aim for one of Singapore Airlines’ A380 or 777-300ER services instead. 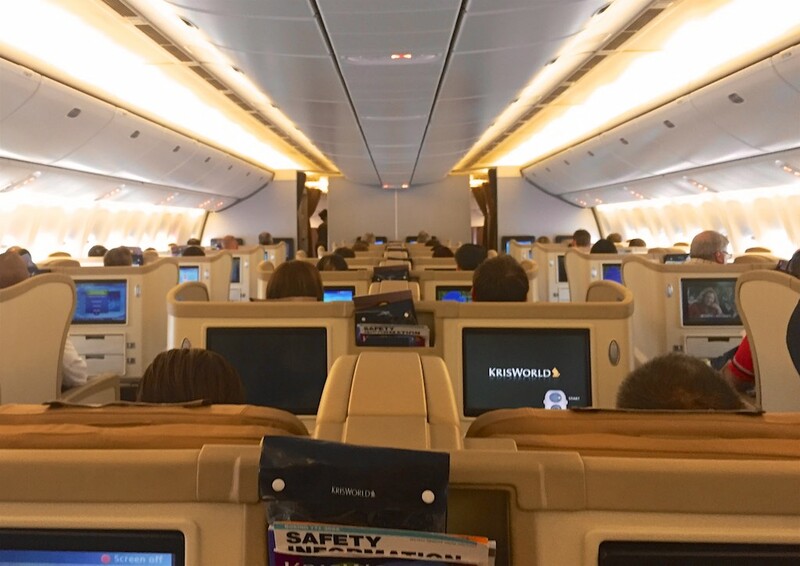 Regardless, it was a great use of KrisFlyer miles for me, as a way for us to get from A to B in comfort, space and at a time that wouldn’t have us completely fried from the journey. I’ve done SQ J on both the long-haul and medium-haul products. 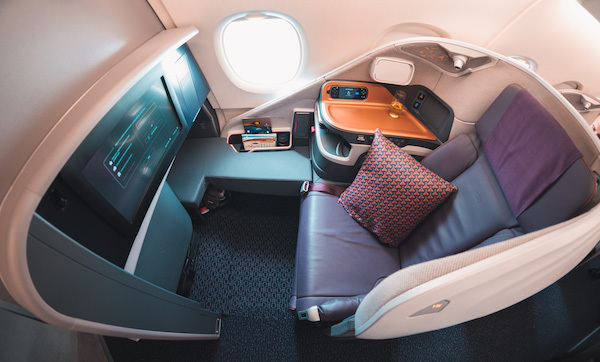 There’s no question the long-haul product is much better for overnight flights but for day-time flights I don’t think the medium-haul is that bad – the only thing different is the seat – everything else is the same. 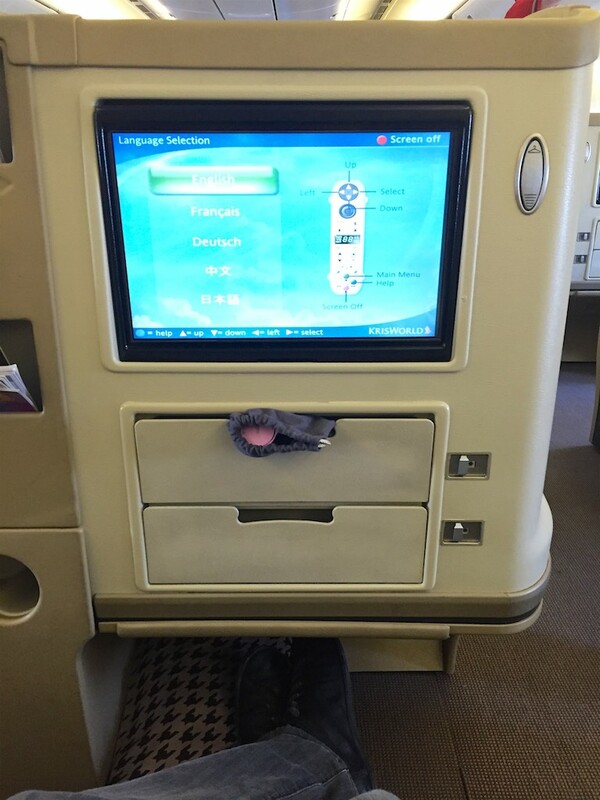 I actually did a MEL-SIN on their A330 medium haul last year on a Saturday night leaving around 19:00 and it was a brilliant flight – a very leisurely and relaxed arrival, check-in and lounging late afternoon, a half-full cabin and a bit of a party atmosphere with pax and crew being in a very good mood on a Saturday night. Enjoyed an excellent dinner, Bollinger and several cocktails. 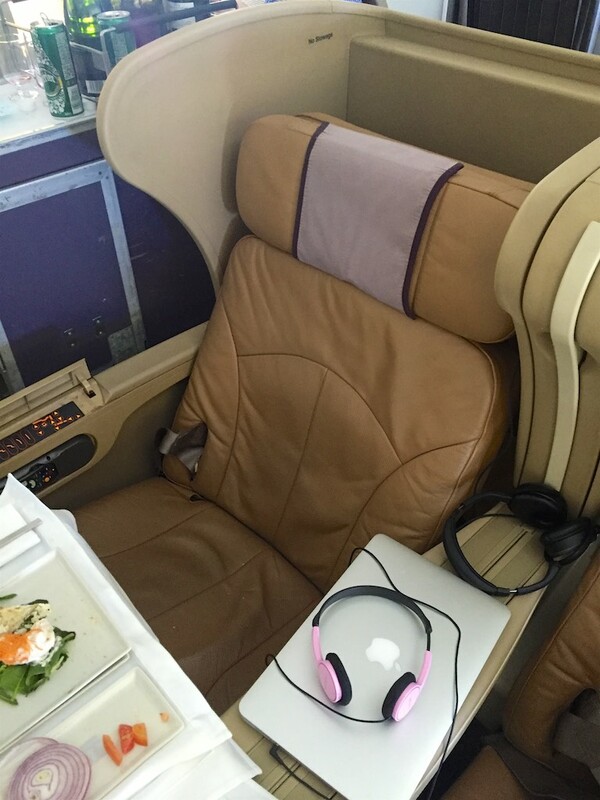 One of the best flights I’ve ever done and didn’t miss the long-haul product at all. What’s SQ’s comment on this? They reckon Brisbanites are able to make ourselves comfortable on these horrible seats so that will do. The seat surrounds looking a bit grubby, particularly the seat controls panel. Not what you expect with SQ. Yep, this aircraft wasn’t exactly shiny and new. 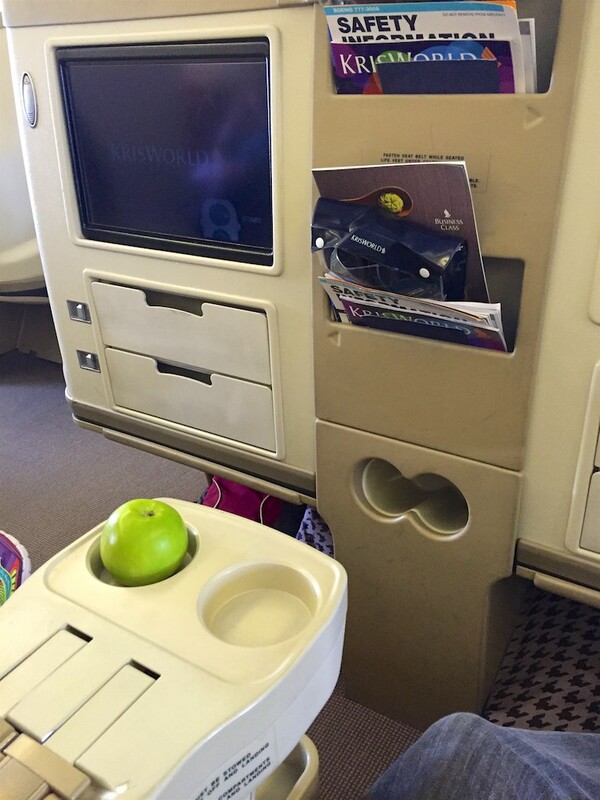 They look identical to the old Virgin seats to Perth. Is that correct? 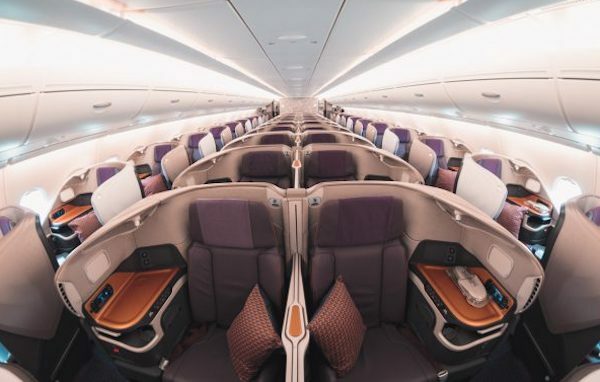 And do they have the same (enormous) amount of legroom as the Virgin configuration? 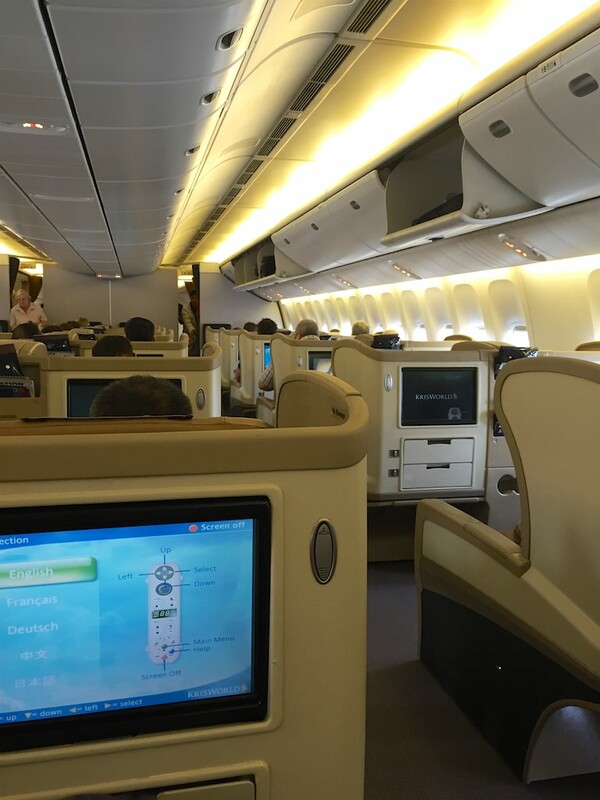 Yes, I think they are the same seats but on a Boeing 777 instead of A330. Perfectly comfy and serviceable.